We were in the depths of a dark winter in 2011, which was the worst year we've gone through together since our wedding day. The hubby lost his beloved father and grandfather while I completed my studies but was still jobless. And when I eventually found one, it wasn't even a permanent position! It wasn't easy having to deal with "well meaning" comments from people on why I was still not working and how "lucky" I was to be able to stay at home and be a "tai tai". I smiled and do admit that it was actually quite relaxing going out for high tea everyday but truthfully, I hated the financial dependence. Deep down, I knew that I won't do very well as a SAHM. And then one day in church, pastor preached that there is a season for everything. If you're in winter today, hold fast to your faith for spring is coming! We dug out whatever little faith that we had left and trusted in the Lord for a breakthrough. And true to His Word, spring finally arrived.. in the year 2012! It's one thing to get a good job but it's another thing to get a job that's relevant to what you spent years in college studying! I really like what I do and believe with all my heart that God has placed me here for a purpose. I also thank God for the amazing bosses and colleagues that I work with! This was also the year that our secret Facebook group was formed! It was a gathering of like-minded mothers who banded together online, exchanging tips and sharing experiences. 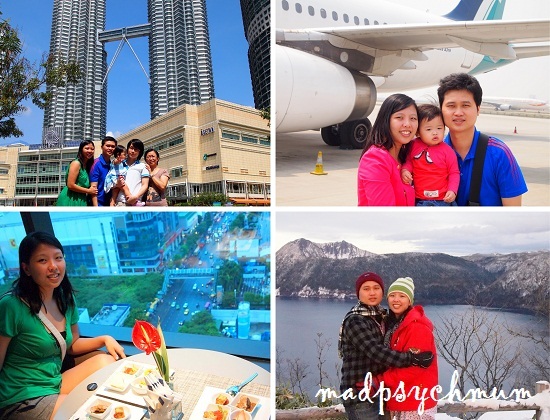 Perhaps it was the fact that we were not only mothers but also mothers who were willing to share our lives publicly on our blogs that caused us to click with each other immediately. When we finally met at regular SMB lunches throughout the year, there were endless things to talk about. Although I was meeting many of the mothers for the first time, it felt like I already know them! My blog also reached new heights this year, with the assistance of my blog agent. She secured many sponsored campaigns for us and taught us how to work with PR companies such that it is beneficial to both parties. The list of campaigns that I've done continues to grow, with the most significant being Lifebuoy and Legoland Malaysia, and for that, I'm thankful. 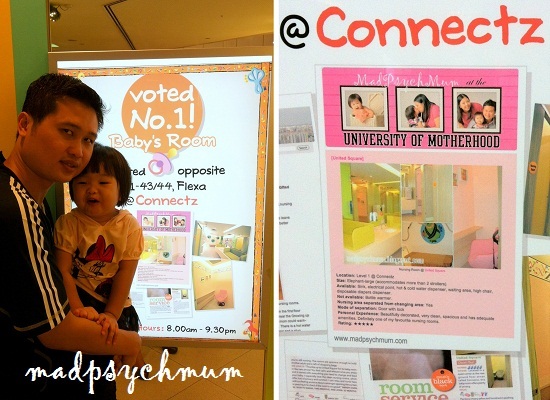 We also have the privilege of being featured on an advertisement board in United Square as one of the reviewers who rated their nursing room as one of the best in Singapore. #5: Reviewed 85 Nursing Rooms! This year we've been to four countries in total! Going to Japan has always been my teenage dream so to finally be able to fulfill it was literally a dream come true! I'm also thankful for the couple time that we had in 2 of the 4 trips where we travelled just the two of us. It was a much needed time of reconnecting and relaxation! 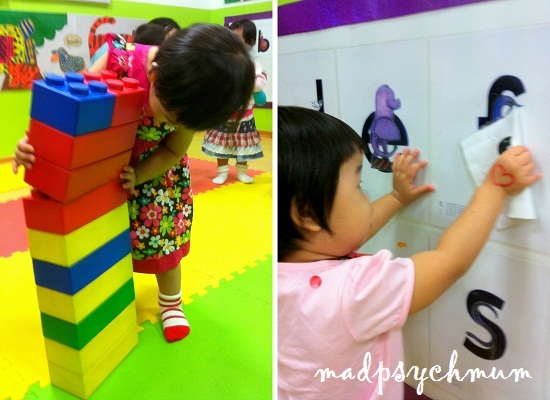 The hunt for a suitable preschool for her was not easy so when I found it, it took another load off my mind. Thankfully, my girl was able to adapt well to her new school and actually learnt a lot from her teachers. She would be leaving this school soon as I managed to enroll her in a childcare just across the road. Hopefully she will adapt just as well as she does now *fingers crossed*.